Excellent statement piece for a male or housewarming. 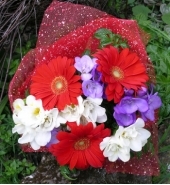 Long lasting, tropical flowers, and selecti.. 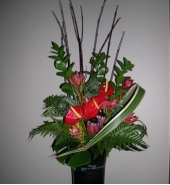 Artistic triumph, Long Lasting, Beautiful, Gallery Piece, Comprising kiwiana, such as Kite bags, ..
Protea, Anthirium, Fern, Sticks, Flax flowers and assorted foliage. 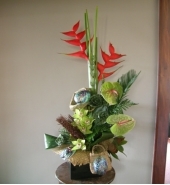 Arranged in a ceramic vase. 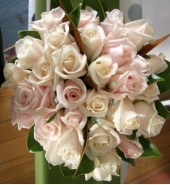 C..
A luscious bouquet of pink and white roses. Subject to availability. 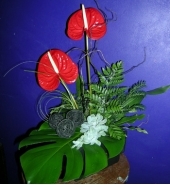 Can be made up in colours of..